Flowers say an awful lot on their own. When it comes to branding locally grown flowers, however, they need help from local professionals, like us. 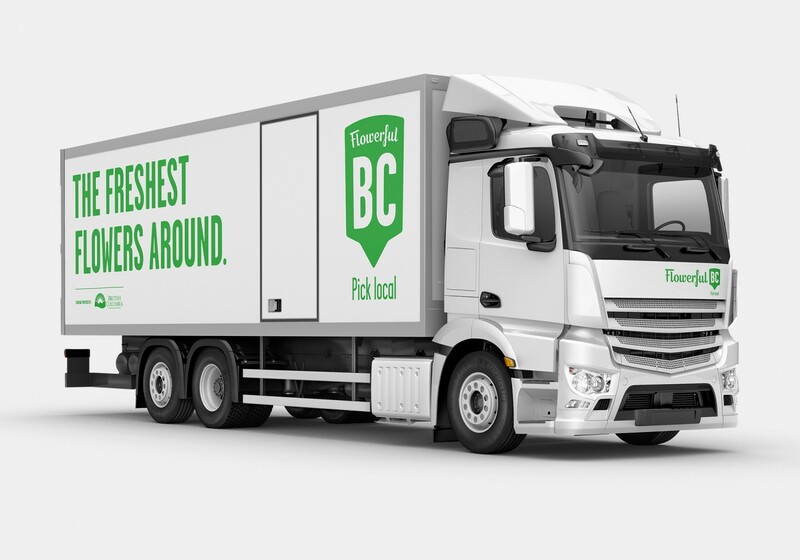 This pilot program was supported by the Government of BC’s “buy local” initiative and rolled out through grocery chains, small grocers and florists across the province. Or should we say, it blossomed. United Flower Growers Cooperative Association (UFG) is a cooperative of floriculture growers located in Burnaby, BC, supplying locally grown flowers across Western Canada and the Pacific Northwest. They hired us to help establish a Buy BC Floral brand identity to promote the quality, diversity and availability of BC flowers in retail and wholesale applications. We created the Flowerful BC logo along with the Pick Local tagline, in–store signage, vehicle branding, videos featuring local flower growers and other social content to share the story as widely as possible. 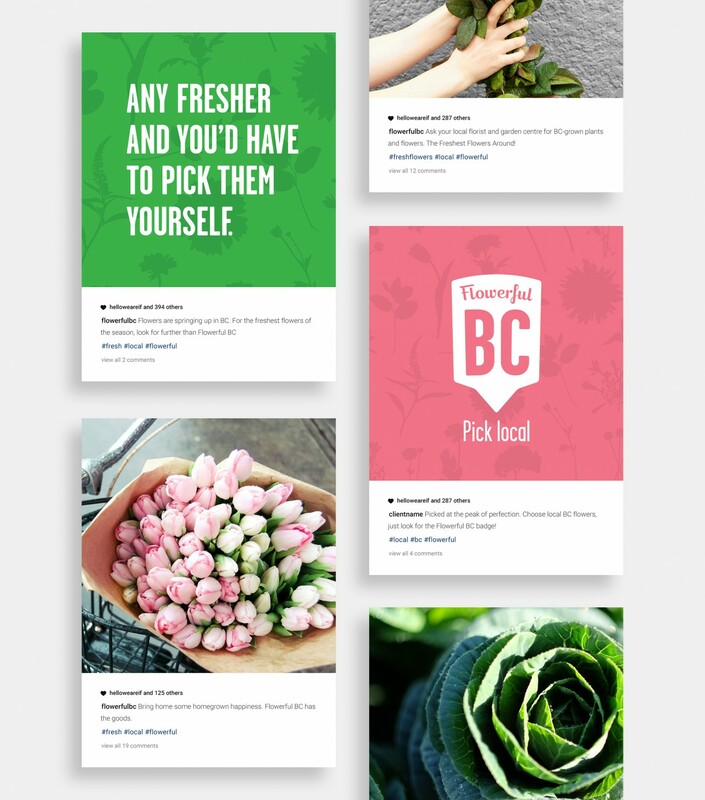 The grower stories were shared through social media and point–of–sale promotions.